Once inside we started to see signs of the creative strengths we’ve always associated with Lock & Key. The room is on the lower end of the budget scale, but still manages to cover the basics of being solid and well built. This was one of those cases where enthusiasts may not be able to list a ‘wow’ factor with the room’s design or quality, but neither will they be able to find fault in something that was overlooked. The props were solid but not over the top. The walls were well constructed but again nothing that had us in awe. And although there were a couple things that could’ve made it more impressive, there was obvious attention to detail when it came to little things people take for granted, like making sure nothing was out of place or cheap. 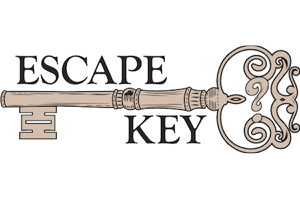 Lock & Key has always managed to consistently build their rooms by paying attention to details often ignored at other venues, and this is how you know you’ve entered a room designed by an enthusiast. The immersion echoed the same consistency as the room quality. The story was referenced throughout, but not always at the forefront. The theme and feeling of the room are kept consistent and are further reinforced through the interior design, puzzles, and props. We agreed one thing that could’ve been used to help the immersive experience was an audio track of pirate ship sounds, or even just the high seas. This room is also an example of where blindfolds might’ve helped at the beginning as it would’ve broken the transition from the lobby into the pirate ship. Again these are very minor things but can sometimes make a nice difference in the end. Overall we enjoyed the immersion and don’t really have any complaints. Onto the puzzles, and in our opinion, the best part of Pirate’s Cove… we were really impressed with the puzzles in this room! Most of the puzzles were inclusive, intuitive, fun, and provided just the right amount of challenge for the three of us playing the room. 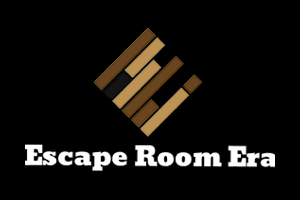 It should be noted this escape room is well suited for 3-4 players, although if most of the players in your group are new, you could stretch it to five people. And here’s an expression we haven’t used in the while… this room unpacks well! For those unfamiliar with this term we’ve coined, rooms that ‘unpack’ well are spaces that contain a LOT more puzzles, surprises, and/or physical changes by the end of the game when compared to its start. If a room looks like a real ‘pirate ship’ (or prison, or whatever the theme) at the beginning, but looks like a disaster alley of puzzles, moved objects, cleverly hidden props, etc. by the end and nobody could foresee this amount of change, then we’ll say it unpacked well. This is definitely the case here. By the end of our adventure in Pirate’s Cove, we looked back at the room and were impressed with how much we had revealed and changed. Was it fun? Would we recommend this room? Yes on both counts! Let’s put things in context of course… Will this be the most impressively designed you you’ve ever done? No, it won’t. Will there be heavy use of technology causing you to be awed when a secret tunnel opens to a hidden underground lair? Again, no. What this room does well is present you with great puzzles, consistent room design and immersion, and a good solid time without any lags or breaks. If you’re looking for good balance, this is your room. It’s good for all ages, experience levels, and as we already mentioned we’d recommend a group size of 3-5 people depending on the level of engagement you want with the room.